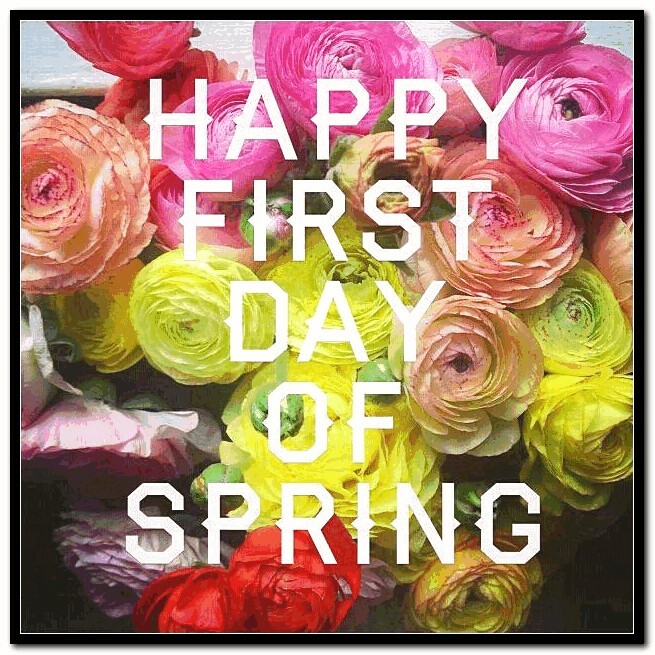 The Spring Equinox starts tomorrow on March 20th. You would never really know it however, if you were in Michigan yesterday morning (as you can see from this photo I posted on my Instagram). It snowed as much as 4 and a half inches here but the temperatures started escalating later on Saturday, so that by late afternoon/early dinner, all the remaining snow looked like it had been there for weeks though it was fresh from just that morning. Then, in the evening it rained some more and same for today. But today the sun was bright and warm and the temperatures were as high as 48 F degrees. That is Spring in Michigan, everyone. 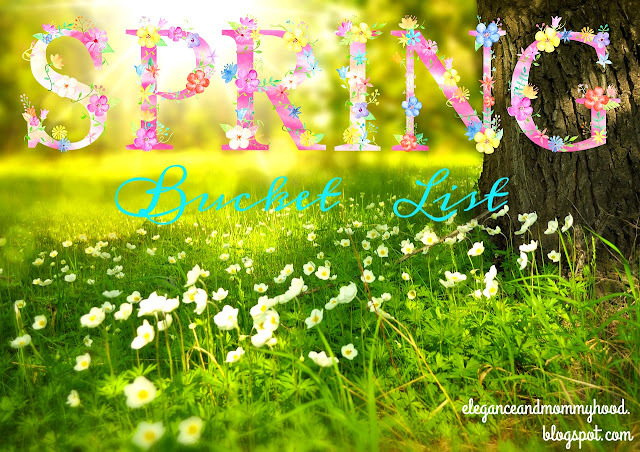 =) With Spring coming, I am thinking Spring in every area of my life and below I compiled a lost with 25 things I want to accomplish this Spring (I will give myself till the end of June). Some of these are super easy and for some of you they are normal everyday things and the same here. But, I just want to make more of these things my usual routine and others are fun activities to do on a Spring day off. I will re-visit this post later this year to see how I did as far as my Spring Bucket goes. Read on, below! 1. Read several light books and some more time-consuming books. 2. Use my library card more and pick out books for myself and Vivian often. 3. Have at least 2 picnics in front of our home at the front yard with home-made food. 4. Watch "Beauty and the Beast" and at least another children's movie, with my daughter at the movie theater. 5. Take a weekend-long trip. I haven't decided where to, at but I am planning on doing so. 6. Save up as much money as possible while working as much as my time allows me. 7. Eat some type of fresh fruit, each day. 8. Cook more and try out new recipes. 9. Eat healthier meals incorporating more fruit, veggies, fish and less fried food. Also drink red wine more often. 10. Do a thorough Spring cleaning (finally) and organize clothes, accessories, toys, etc. that I don't need into piles: to donate to friends, to keep (for now), to take to charity or to sell. 12. Go to the Opera. 13. Have a girl's day with my mom. 14. Give myself a few manicures and pedicures. And with that said I want to grow my nails and stop biting them - it is harder than it sounds guys - the struggle is real. 15. Experiment with hair-styles while my hair is in this growing-out bob stage. I'd love to find the perfect curler and use it as much as possible. 16. Visit the Zoo with my daughter. 17. Go to a botanical garden. 18. Have an egg scavenger hunt for my daughter. 19. Go for a visit or twp by the lake or a beach. 20. Take photos of flowers and other beautiful nature around me. 23. Shop very little or not at all (especially for me). 24. Go to the church more and of course during Easter. 25. Organize and de-clutter my home. What is in your Spring Bucket List?